The Autokreacja Foundation aims at fostering the attitude of active participation in the civil society. Through various initiatives in the field of social economy we contribute to the civilizational, cultural and economic development of Poland. We want to put the spotlight on problems of diverse social groups that are often marginalized, that is why we focus on cooperation with long-term unemployed, youth from underprivileged regions, unemployed women, elderly people, immigrants and refugees. Many of our projects were designed to favour multiculturalism and intercultural exchange by bringing together different lifestyles, points of view and philosophies. Our conviction that sharing, experiencing and debating are the best ways to progress, permits us to be open to new initiatives and to welcome with enthusiasm possibilities of cooperation with organizations dealing with different domains in many countries and cultures all over the world. We set up the Autokreacja Foundation because we like working with people. That is why in our projects we invest time and energy in initiatives which give us opportunity to directly interact with people – we organise and run workshops, trainings and cultural events with the aim of helping people of all walks of life and in a variety of life situations develop their potential and communicate with one another. We started working together in 1992 but it was in 2010 when our formal activity as a Foundation started. • High-quality publications and reports. DRAMBLYS: Social Creativity Lab is a non-profit organization located in Spain that works for the promotion of social innovation. DRAMBLYS combines sociological imagination & inquiry with social creativity and design to approach, explore, and innovate solutions to emerging social problems in order to strengthen local capacity and foster social innovation and creativity. DRAMBLYS designs and implements a range of initiatives and project, based on social research, participatory and experiential methodologies, for the promotion of social growth and competitiveness. Dramblys main programmes and areas of expertise include the following: programmes design and evaluation, data visualization and social innovation design, development and management. In DRAMBLYS, we aspire to serve as an interactive platform and meeting point to exchange, design, inspire and promote social innovation projects and creative alternatives, both globally and locally. We aim to facilitate creative dialogues and co-create sustainable alternatives and so, to inspire new social entrepreneurs and community leaders & promote sustainable ways of living. strengthening social cohesion by taking care to consider equality of genres, nationalities and groups, as well as encouraging professional participation whilst offering employment training programs for vulnerable groups. At the Young Foundation, we work to create a more equal and just society, where each individual can be fulfilled in their own terms. Inspired by Michael Young and his life-changing work pioneering new innovative projects and ideas, we work with communities across the UK and beyond to harness the power of social innovation to tackle inequality. Our approach has been refined over six decades of innovation across sectors. It is founded on research, partnerships and social venturing. We use methods and tools developed through our long history of nurturing ground-breaking social innovations like the Institute of Community Studies, the Open University, The Consumers Association, the Economic and Social Research Council, the School of Social Entrepreneurs, Studio Schools and many others. Through ethnographic and participatory research, movement building, design and entrepreneurship we enable the creation and scaling of new interventions, movements and institutions that empower people to work together to address inequality and lead happier and more meaningful lives. Our team of research, community development and innovation specialists work across the UK, from our original Bethnal Green office in the East End of London and our growing network of city and regional teams in Northern Ireland, Leeds, Wales and Montreal. In recent years, we have worked with over 200 unique funding partners including national governments in four continents, the world’s leading social givers and investors, public services of every kind and hundreds of social enterprises and entrepreneurs. As a result we have supported thousands of people across hundreds of communities to take their innovations to scale through world leading programmes like The Accelerator, Realising Ambition, TEPSIE, Better by Design, Community First, and The Young Academy. We are a registered charity and company limited by guarantee, governed by our experienced Board of Trustees. Community leadership support of experimentation and new ideas, including through changes in funding, infrastructure arrangements, policy & regulation, leads to sustained change. We are a research and action based institute with a formidable track record of confronting inequality. We work across the UK and internationally to create insight and innovations which put people at the heart of social change. We do this through research, work with communities and social innovation. We also bring together leading thinkers and policy makers around the world to develop new ideas to confront inequalities and create fairer societies. We are bold, creative, and open minded. We always aim for excellence. We act with honesty, fairness and integrity. We believe the best things happen when people work together. We value difference and believe in inclusivity. POS4work – Patras Office Space is a private company that combines coworking space, incubator and maker space. Our aim is to empower and support the local business ecosystem through networking, mentoring, training and providing facilities to startups, small companies and freelancers. Our incubation program provides training of a variety of essential skills such as business development, marketing and soft skills with workshops and mentoring to early stage startups. Furthermore, we organize educational workshops, seminars and meetups in fields such as entrepreneurship, programming, internet of things, digital marketing etc. We have developed partnerships in order to provide specialised services to companies, organizations and citizens. Co-organizing a business meeting with Ambassador of US in Greece with local startups. Further more, we have participated in several seminars, discussions and panels about innovation and technology. 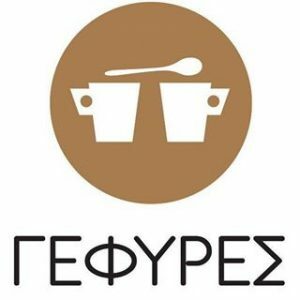 At Patreos Street 86 was created the first cafe in Patras where people with mental health problems work – members of the Association for Mental Health (SOPSY) of Patras. The space also functions as a cultural and exhibition center. Cultural events take place on a regular basis: Music, poetry, book presentations, art exhibitions, photographic exhibitions, theatrical events, social documentary presentations, children’s events. Also, the creations of the members of SOPSY Patras are also exhibited from time to time. Coffee Bridges hopes to be a brave act against stigma associated with mental illness, prejudice and marginalization experienced by people with mental health problems. The creation and equipment of the cafeteria was carried out with the significant funding of the VINCI ASSOCIATION. The Vinci Association (Greek branch of the Fondation VINCI pour la Cité) is the social arm of the VINCI Group and started its activities in Greece in 2011. Its aim is to pursue social solidarity through social integration programs. The following method is to support initiatives that have a sustainable dimension: that is to say, it provides the conditions for the development of actions that will last for an indefinite amount of time. Coordinator of the VINCI Association is Yiannis Freris (also General Coordinator of the Association of Social Agents “Solidarity Pillars” of Bridge SA), while the Communications Director of Olympia Odos SA, Sofia Stamou as a company employee of the Group undertook the underwriting of the program creating the cafeteria. In Greece – apart from VINCI CONCESSIONS and VINCI CONSTRUCTION HELLAS, the companies – the shareholder of which is the VINCI Group – are the Bridge, Olympia Odos, Aegean Motorway. This work is licensed under a Creative Commons Attribution – NonCommercial – Sharealike 4.0 International License.